▪ The world’s oldest known bird is going to be a mother again. 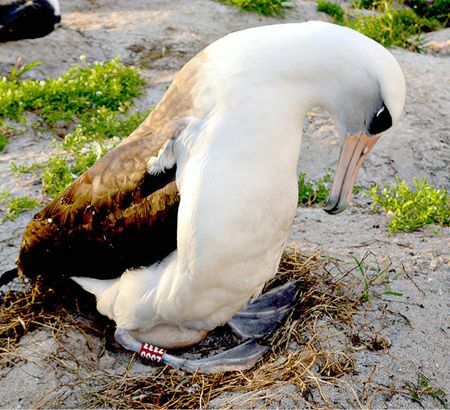 Wisdom, a 67-year-old Laysan albatross, was first spotted in Hawaii’s Papahanaumokuakea Marine National Monument in 1956—and has been raising chicks there ever since. Though the albatrosses raise only one chick at a time, leaving the already endangered species vulnerable to natural disasters like tsunamis, Wisdom has delivered and nurtured up to 35 baby birds during her lifetime. Expecting again, she and her longtime mate, Akeakamai, remarkably show no signs of slowing down anytime soon. “It’s just unprecedented that we have a bird that’s 67 years old and still reproducing,” says monument director Kate Toniolo.